WE PROVIDE THE HIGHEST QUALITY ASPHALT PAVING WORK SERVICING 1000’S OF PROJECTS OVER 20 YEARS! Just wanted to shoot you a little note to say how pleased we are with the way the driveway turned out. I also included a picture to show you the finished product. The guys were great to work with, and everything panned out as well as expected. Thanks again, and we look forward to working with you in the future. Please tell John that I very much appreciate his immediate and personal response to my concerns. Thanks to you and your crew for a stress-free experience. Your guys were hard working, professional and courteous. The new driveway looks beautiful. Enjoy your summer. 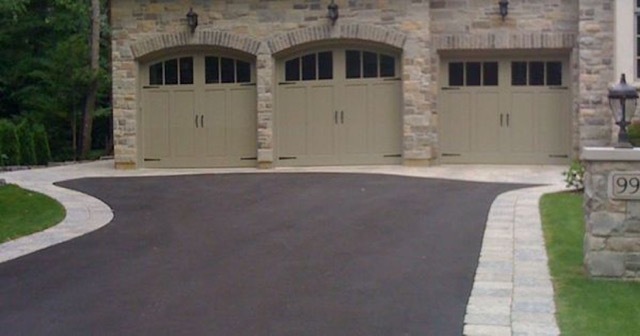 J. Scott Paving is a paving and seal coating company that has been serving all of Delaware County and Main Line areas. We specialize in all phases of paving, asphalt and seal coating work, from minor repairs to new installations, removal and replacement of entire parking lots, driveways and roadways. We accommodate smaller jobs such as patch paving, overlays, sealing, repairing and striping. No paving job is too big or too small for J. Scott Paving. We will be happy to make repairs to your existing pavement or create a beautiful new driveway, parking lot, playground or road. Our professional asphalt paving contractors provide excellent customer service from the beginning to the end of your project. We are knowledgeable in all aspects of the paving process that include drainage, slope and orientation, dimension, compaction and surface types. We provide professional advice to help you make expert choices for repairing, resurfacing or completing a new construction project. Our expertise in the field of paving along with our understanding of local, city and state governmental building codes, make J. Scott Paving the right choice for your next paving project. Whether you are maintaining your existing pavement, upgrading or building new construction, call (610) 359-1810 today to schedule a consultation. We look forward to hearing from you soon. Serving all Delaware County and Main Line Areas! J. Scott Paving, LLC is closed during the Winter. Our Secretary periodically checks calls & emails during this time. If you would like to be added to our Spring Estimate Log, please email your Day/Evening telephone number & address.